Complimentary WIFI is available throughout the salon. For spa services, please arrive 15 minutes prior to your appointment to allow time to complete any necessary consultation or consent forms, and to change into a spa robe and slippers. Your service will begin and end promptly at the scheduled time. Treatment times are not extended based on late arrivals. We ask that all cell phones, pagers, and electronic devices be turned off before entering the spa, and that you set to vibrate only during salon services. Speaker phones are not permitted within the building. We kindly request that you arrange care for all children under the age of 10 who are not receiving salon or spa services, as unsupervised children under the age of 10 are not permitted. We openly use numerous hot electrical appliances and chemicals which could cause harm to children. Children under the age of 16 are not permitted in the spa area unless they are receiving a spa treatment. If your child uses an electronic device for entertainment purposes (i.e. handheld game, smart phone, etc. ), we request that the sound be turned off or that you supply headphones. Spa Treatments – We encourage guests to arrive makeup-free and in comfortable clothing. Professional draping is performed throughout the duration of the services for privacy. We request that all spa guests shower at home prior to arrival. We provide plush robes, linens, and slippers for your convenience. Salon Services – We encourage guests to remove your top garment and change into a gown before receiving chemical services. New Seasons Spa & Salon IS NOT RESPONSIBLE for any damage to your clothing caused by chemical services performed. Shaving is not recommended immediately prior to a Body Treatment, Pedicure, or Men’s Facial. If you choose to shave, please shave at least four hours prior to your service. In order to guarantee the effectiveness of your spa treatment, we recommend that you refrain from consuming alcoholic beverages before visiting our spa, and drink plenty of water before and after your treatment. Please notify our staff before scheduling spa treatments if you are pregnant, have allergies, high blood pressure, any physical ailments, or disabilities. This will prepare our staff in advance to provide the best possible spa treatment. When receiving your spa treatment, your service provider is dedicated to addressing your needs. Please communicate to us how you are feeling during your service, and if there is anything specific you would like us to address, please inform your provider. New Seasons Spa & Salon accepts VISA, MasterCard, American Express, Discover and cash. Upon making your reservation, we require a valid credit card number to hold any service valued at $100 or higher, or for multiple services. Your card will be verified, but will not be charged except in the case of a no-show. We are PCI compliant, and your credit card number is safely encoded. For your convenience, your reservation is confirmed 48 hours in advance via customized text and/or email confirmations. Phone calls will be made to those who do not respond to their appointment confirmations. As a courtesy, if you must cancel or re-schedule your reservation, please provide a 24-hour notice so we may offer the time to another guest. We reserve the right to charge a fee for same-day rescheduled or cancelled reservations or “no-show” appointments. 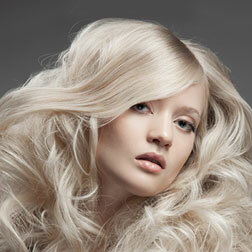 Spa packages, hair extensions, and keratin smoothing treatments require a 48-hour reschedule notice. We reserve the right to require pre-payment for services scheduled for those with a no-show appointment history. Gratuity is not expected, but is appreciated. A convenient envelope will be provided for cash gratuity and delivered directly to your service provider. Gratuities may be added to your credit card and will be delivered to your service provider in their payroll check. Your service will begin and end promptly at the scheduled time. If you are running late, please call to notify us. We will do our best to accommodate you, and please understand that your appointment may need to be rescheduled or adjusted so that we stay on schedule for the convenience of other guests. Treatment times are not extended based on late arrivals. For spa services, we ask that you arrive 15 minutes prior to your scheduled appointment time to allow time to complete any necessary consultation or consent forms, and to change into a spa robe and slippers. To ensure your satisfaction, you may return any product for exchange-only within 30 days of purchase. Styling tools are final sale, with warranty provided by manufacturer. What should I do if my service expectations were not met? New Seasons Spa & Salon has an outstanding reputation for delivering superb service. However, there may be that occasion where either a miscommunication occurred, or a service provider was simply unsure of how to achieve the desired results. Please know and understand that we need to hear about these types of situations. Your feedback allows our service providers to continually grow as professionals. New Seasons Spa & Salon gift cards and gift certificates are non-refundable and not redeemable for cash. However, we will gladly transfer the ownership of the card for you. We take walk-in appointments based on space availability, but recommend that appointments are scheduled in advance to reserve the date/time of choice. Seasonal specials on services and products delivered via email. Follow us on Instagram, Facebook, Twitter and Google+ and become an insider on additional discounts, specials, promotions and events.